gayvalenciaspain | Do you want to see Valencia through different eyes? I love Spanish food. 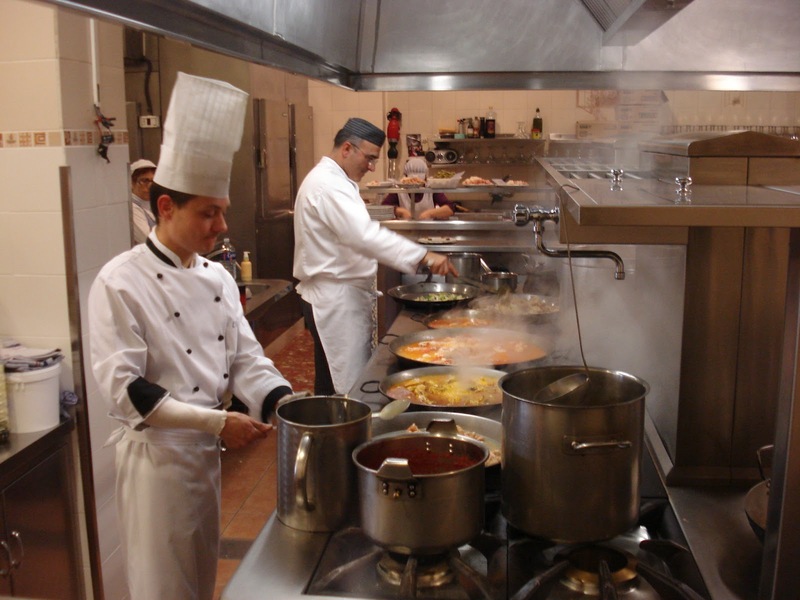 Not only the paella, tapas and other local specialties, but also the international kitchen is well represented and good in price. It’s pretty hard to make a selection of the many restaurants there are in Valencia. A great restaurant with a small selection of all very great dishes. The products are all fresh. If you like raw steak tartar or a tune steak with mango, “fois gras” or a salad with a big juicy mozzarella, this is the place to be. Good seafood restaurant near the sea. 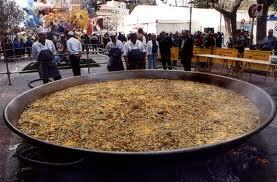 Eat paellas for lunch, like the Valencian people do. Get yourself some appetizers to share. In my opinion they serve the best steaks. 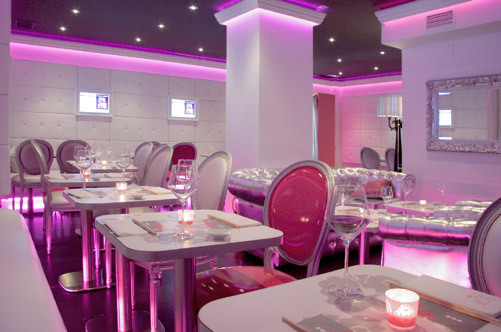 This romantic Italian restaurant is an eye-catcher in the streets of L’Example, Cánovas. They serve a great menu, which contains salad, pasta and different kinds of tapas. Let them surprise you. If you’re into Sushi, you cannot miss Miss Sushi. Order a diversity of sushi with some family or friends. It’s very fresh and of an excellent quality for a good price. 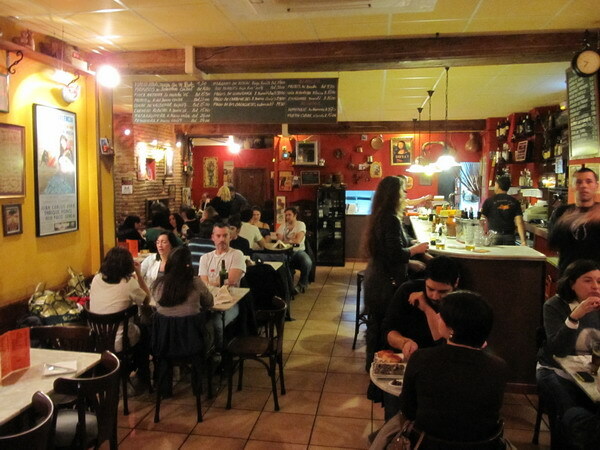 This cozy tapas restaurant has the best tapas and a friendly staff. Not easy to find in the little streets of El Carmen, the old city center, but definitely worth a visit. 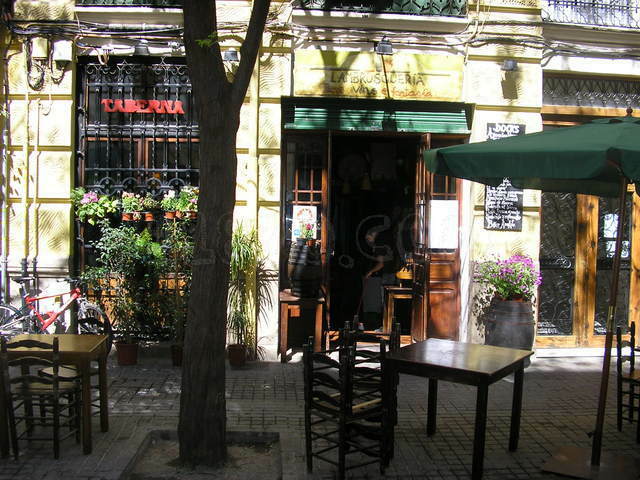 Before you go for dinner, get yourself a drink at the terrace of Café Negrito nearby, on Plaza Negrito. The restaurants selected are situated in random order. Please let us know if you have other experiences or other tips for our top 5 of restaurants in Valencia. This project started by a group of students from the poly-technical University of Valencia, who designed a cultural city of the future with a futuristic character. 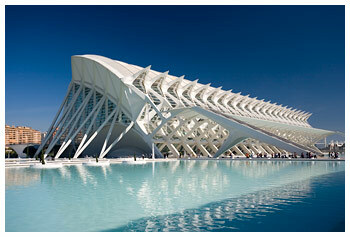 The architect Santiago Calatrava got the project from the city of Valencia and designed this complex. He brought the water back into the riverbed and used a lot of very little tiles. We call those “trencadís”, it is like Gaudi used in the “Parque Güell” only Calatrava used tiles by the same color (nearly all in white and some tiles in blue). 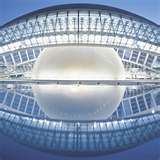 Calatrava is from Valencia, but true the big orders he got and his style, he became world-famous. We’ll start with the “Hemisfèric” which is an IMAX theater, where they show movies on a big screen and also in 3D. “Hemi” means half and “sfèric”” is a sphere. It looks like an eye. When it’s dark, you’ll see the reflection in the water, what makes the eye complete. It was the first building that opened there doors in 1998. The Science Museum was the next building and is already in use from 2000. From this date on there have been more then 27 million visitors. The theme is: “it is forbidden not to touch”. It’s full of experiments and tests, which is nice for as well children and adults. When you’re inside and it’s raining it looks like a waterfall. But it doesn’t rain very often, what makes that the windows have to be cleaned by mountaineers. The Oceanogràfic is the biggest sea-aquarium of Europe. All oceans are represented with it’s sea inhabitants. The water comes directly from the sea. Every day there is a dolphin-show and in summertime they have an evening show with dolphins and synchronized swimmers. Félix Candela designed the spectacular entrance in 2003 and the restaurant which has a Michelin star. You can eat there in a giant aquarium. 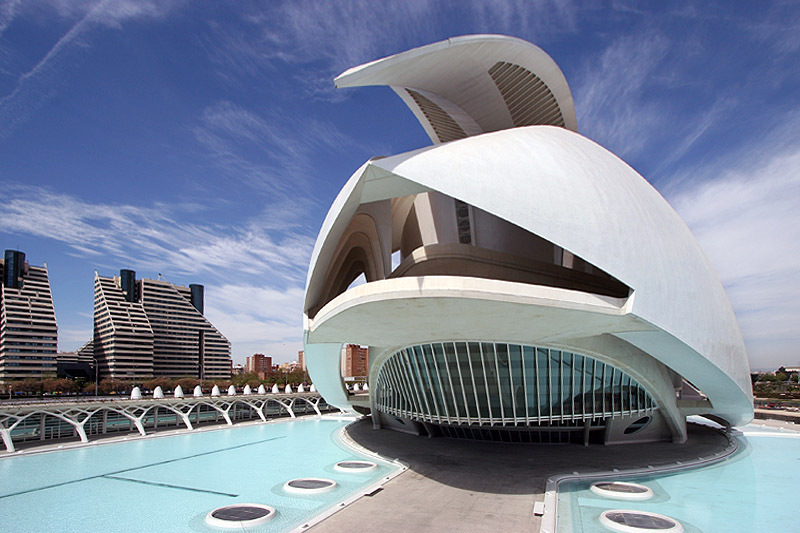 The Palau the las Arts, the opera is the showpiece of Calatrava. He finished the building in 2005 just before the big crisis in Spain and the rest of the world. The canopy on top of the building has a span of 200 meters and is only supported on two places. At the beginning and almost halfway. Because of the shape, it can span more then 100 meters without any support. This is very unique and what makes Calatrava a special designer. 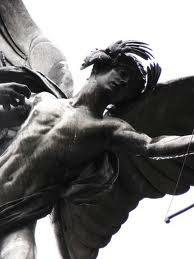 He is not only an architect but also an engineer and sculptor. The Umbracle is an open art gallery, where you’ll find different pieces of art by the changing of the season, a garden with tropical plants and a parking. The name is also a Valencian name and means shadow garden. The Agora was opened in 2009 and has not really been finished yet, because the pins on top are still missing. Agora means marketplace and is in use as a multifunctional building. The ATP tennis tournament is held here as well as the fashion show of Valencia and there was a big party held here on New Years Eve. This week, we chose this heavenly looking couple. I hope you like them as much as I do. We’ll start with a short story about the history of Valencia. The city of Valencia is founded by the Romans in 138 B.C. Around 2000 Roman colonists settled here near the river Turia. In the beginning of the Middle Ages in the 7th century the Visigoths came from the east of Europe and concurred Valencia. They build several churches and spread the Catholicism. For 5 centuries from the 8th century till the 13th century Mores ruled the city. They overtook the city without nearly any fights and build mosques. Just on the outskirts of the city they build a luxurious Palace Russafa. Unfortunately there are no buildings left from this period. This is different from the south of Spain, where still Mosques and Palaces remain from this period (Cordoba, Sevilla and Granada). The 9th of October 1235 James the first (Jaime I) concurred Valencia. This day is still celebrated in Valencia. It was a reconquest by the Christians. More then 50.000 Muslims were forced to leave the city. All Mosques and other buildings were torn down and new churches were build on the same places. The 15th century is the Golden Age and there are still many buildings left from this period. For example the Lonja, this is the Silk Exchange, the Miguelete, this is the clock tower of the cathedral and the Palacio de Marques de dos Aguas, a Palace of an import landlord of that period. The river has been repeatedly flooded throughout the centuries. It is a typical river of the Mediterranean. In summer the river dries out and in autumn and spring during heavily rainfall and the melting water from the mountains, the river rises. 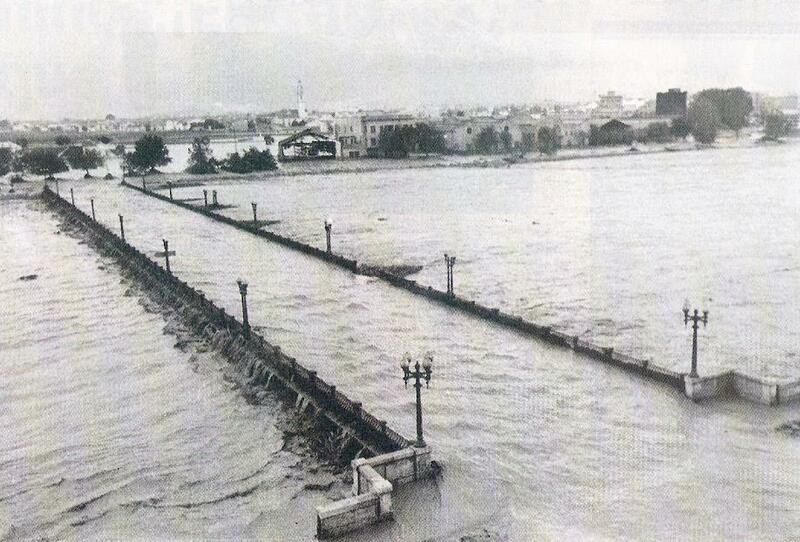 The last flood of the river was in 1957. This was a real flood disaster. Several people were killed and at that moment Franco was in power. He decided to dig a canal at the southern of the city and wanted a highway through the city on the place of the old river. The inhabitants of the city rebelled against this plan and have finally won this battle. A 12-kilometer park was built through the heart of the city. 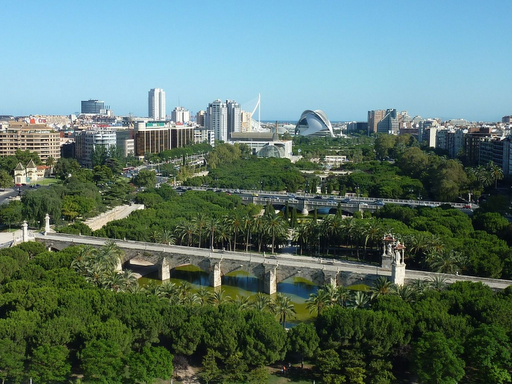 The residents of Valencia have paid for a few years extra special tax, so the park could be build by several landscape architects from bridge to bridge. The park is now used by the locals and tourists, with the zoo (Bioparc), sports fields, playgrounds, concert hall, The City of Arts and Sciences, the Sea-aquarium and as a place to relax, picnic and be outside. The City Hall of Valencia is open for public. You can bring a visit for free, if you are early and there are no official meetings. This is because the building is still used as City Hall as well as a museum. It is absolutely worth a visit, if you like to see the jewels of the city and learn a bit more about the history of Valencia. The 9th of October is an important celebration in Valencia. This day we celebrate that the city was reconquered by King Jaime I on 1238 after 5 centuries of Islamic rule. In the city hall you find many objects that refer to this period. 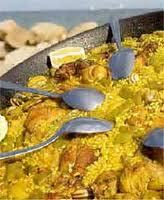 Paella Valenciana is an original, traditional dish from Valencia. Different from what you might think, this dish is from origin without seafood. The city of Valencia is situated 5 kilometres from the sea and the people got their food from the land. The paella is with rabbit, chicken, land snails, beans, saffron, salt and rice. The rice is cultivated on the lands near Valencia. When you meet with Valencian men, they all will tell you, that they make the best Paella. 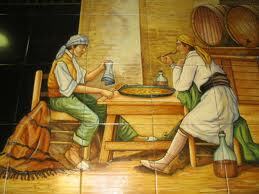 The people are proud of their tradition and the Paella. It’s a typical dish for a Sunday afternoon with the whole family or with a couple of friends. They make the Paella on a charcoal fire, what gives the specific taste. Of course there are a lot of variations on the Paella Valenciana. Most popular is the Paella de Mariscos, this one is with seafood. The dish on the video is Arroz al Horno, which is rice from the oven with sausage, bacon, tomato and beans. Paella means: para ella, for her. The story is that the men made this dish for the women of the village every once a year. Buen provecho! Enjoy your meal! Try it and give your own opinion….